Concrete Gutters can impact your family’s health, your property and your pocket! Age and weather conditions will cause concrete gutters and Finlock gutters to move and shift, resulting in breaks of joints between blocks causing leaks, building damage and possible collapse of external guttering. 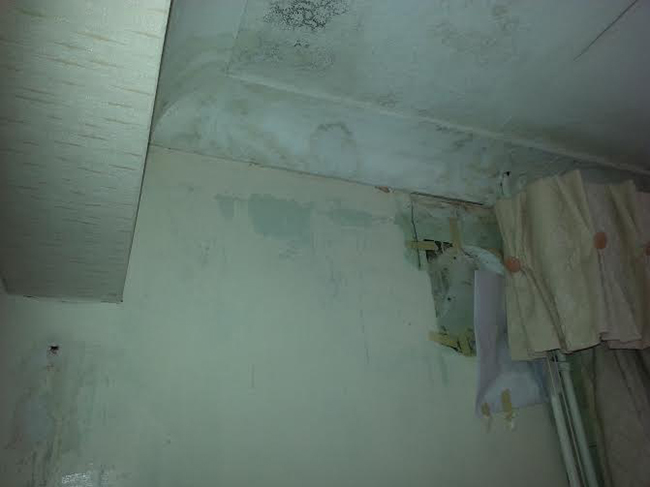 This also leads to problems with damp arising in the walls and in the loft, as well as potential mould growth. Replacing your concrete gutters will put a stop to this, and prevent any further collapse of the Finlock concrete guttering. Thermal bridging and thermal differentiation are other problems that only our guttering will solve. Concrete gutters or Finlock gutters were installed during the 1950's, 60's and 70's to carry out a dual function of closing the cavity at the top of the brickwork and providing a wrongly assumed maintenance free gutter system. The gutters comprise of units that vary in length between 200mm and 600mm. The joints have either been sealed with bitumen or a similar substance, or the gutters are lined (often with torch on mineral felt). When the gutter lining starts to deteriorate, the gutters leak water into the wall cavity, and this water can also seep into the house causing damage to the internal plaster. This problem is often compounded by differential thermal movement in the concrete gutters, which causes the concrete to crack. Simply relining the gutters will not eliminate bridging cold, therefore is not a solution to eliminate the multitude of issues that arise from Finlock Concrete Gutter deterioration. Differential thermal movement is caused by different materials (concrete, tar, cement etc.) expanding and contracting by different amounts as the temperature changes. Such differences have caused the gutter sections to move relative to each other, so instead of providing a smooth run for water, linings become damaged and water can sit in the gutters. 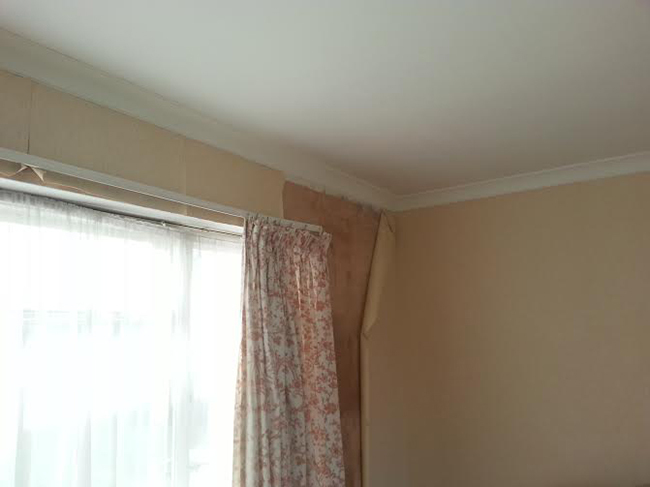 This leads to dampness in the cavity walls and the concrete deteriorates further over time. Thermal bridging or bridging cold has become a major problem with concrete Finlock gutters due to central heating and double glazing being installed in homes. As a result the average temperature inside properties is now higher than in the past. The bridging cold manifests as a black mark where the ceiling meets the wall inside the property. This results in the wallpaper coming away at the top of the wall. In bathrooms tiles can often become dislodged. In the summer this is not as great a problem as in the winter. When the heating is on the Finlock gutters become very cold. Moisture in the warm interior air condenses on the cold wall, which leads to mould and damage to interior decor. The air inside the house will carry more water as the central heating raises its temperature. The Finlock gutters allow cold to cross the wall and create a cold strip where the internal wall meets the ceiling. Condensation forms where the warm air meets the cold surface (on a much reduced scale of a mirror in a bathroom). In bathrooms it is much worse particularly in shower cubicles. Cutting gutters off does reduce this problem substantially, as a 22mm wood and 18mm PVC layer will be installed, insulating the outside of the wall. This will reduce bridging cold. By Fitting Leafguard (also known as Snowguard), no ice can form in the gutter, further reducing incidents of bridging cold.